Roses are the beautiful flowers in the world. Each and every girl likes to have roses in their head. They are having charming beauty so that everyone gets attracted to them. They are also having timeless beauty. They will also bloom almost all year around. This makes most of the people to plant roses in their gardens to enjoy them. They are really soft to feel and touch. If you want to get more and more number of flowers from it, you must take care to grow them. You need to trim it regularly in order to grow them healthier. The following tips help you in growing your roses robust and healthy. 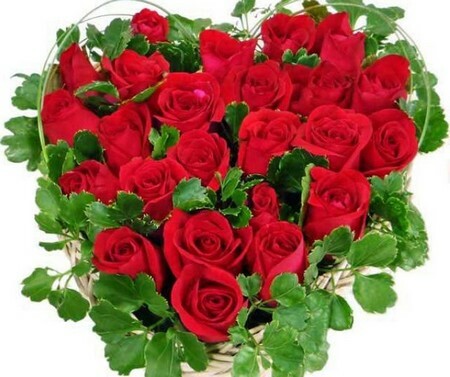 Roses are actually very soft and delicate plants and so they will easily caught with infection and diseases. We should kept weed out and clean the surrounding area. Before planting your roses, first clean the surrounding area in the garden. Remove all unnecessary things like dead old leaves, weeds, branches of old trees and grasses which are overgrown. There may be thorns in rose plants, so you must protect yourself from them by wearing gardening gloves. Don’t use your hand to remove the diseased, dead or damaged things in your garden. Use garden shears to remove them in order to prevent plants from diseases and infection spreading to them. Now plant the roses in a clean place in your garden. Then do the first trim to the roses. When you are planting new ones, then there is a need to give them vase shape so that they will follow the same while growing. You should also allot some space separately to grow roses. If the branches of the roses overgrown, then you have to trim them to remove the wild look of rose. Initial trimmings is very important than the other ones. Because in initial trimming, you are actually giving them a definite shape to grow them in future. Suckers are unnecessary for you and also for your roses. They are flexible, long and slender cranes which are suddenly arise from bud union. They are really completely unnecessary. So, if you see them, remove them at that moment itself. If you try to cut them with pruners, they will leave remnant of suckers that would produce more and more suckers which would spread everywhere. Just pull them down and remove the plant. You have to be careful in doing this to avoid damaging bud union. If you do these activities regularly and periodically, your rose will definitely give you good roses which smell sweet all year round.